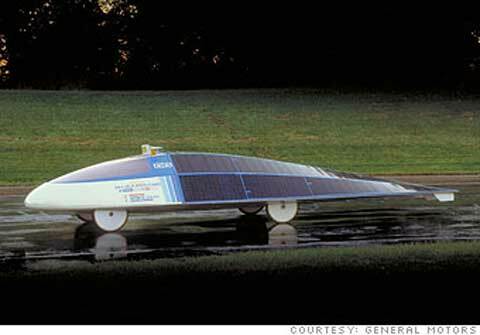 The General Motors Sunraycer won the first World Solar Challenge in Australia in 1987. With a top speed of 45 mph and 90 square feet of solar cells, the Sunraycer finished nearly three days ahead of 2nd place, with the batteries still fully charged. Now, 22 years later, GM is about to produce the Volt hybrid.